More than just a home, The Madison is your own private retreat, all conveniently located in Richmonds prestigious Short Pump area! Featuring two pools, lighted dog park, tennis courts and so much more! Not updated, not enough dog waste locations. This is a safe neighborhood with a family atmosphere. I wanted to personally Thank You for taking the time to give feedback. It does help us as we strive to do our best to meet a high standard for you. Please let us know if there is anything we can assist you with or if there are any concerns we can address. These apartments are way too expensive for their quality. They are priced on location, and while short pump is up and coming, the focus in the coming years is going to be centered on revitalizing Richmond, and short pump will be an old neighborhood. Mostly because everyone but the affluent will be out priced. Thank you for taking the time to voice your opinion and help us improve! We truly appreciate all feedback! If you would like to please feel free to contact us directly at the office to discuss the issue further. Professional and prompt services, neat and maintained premises. The apartment is supposed to be gated, but all gates are open most of the time. Great place to stay with a nice neighborhood. Honestly, I wish the apartment was more airy. There's only one window in the bedroom (for 1 BHK), no window in bathroom, kitchen. The only option is to open living room door which is not always feasible because of mosquitos and bugs. But madison scores above other apartments in terms of high ceilings and newer construction. Rent should be more reasonable. I feel safe living there with my kids. activities fosters neighbor and management relationships. There is no light in the tennis court. There is no community hall for any events. Not enough designated spaces for childrens for play. I recommend the service of the maintenance staff. When something goes wrong, it is quickly fixed. (With exception to the windows that have lost their seal and haven't been replaced for 2 years.) I like the trees, the large porch and the privacy of my unit. I like the pools and the maintenance of the grounds. I like that most of the area is quiet. 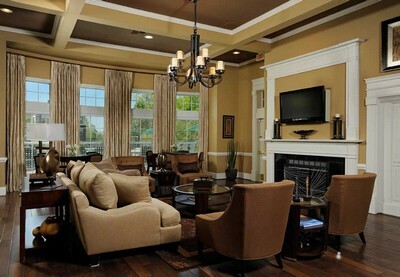 The location in Short Pump is ideal. The larger size of the bathrooms are nice. I also enjoy the oversized tub. I like the gift wrap station, computer room and conference room. However, the age of the unit is apparent, especially in the look of the kitchen and bathrooms. They need granite countertops and hard floors instead of carpet. There are other communities nearby in about the same price point that have these features. Too many loud, dirty neighbors with children who play in the parking lots. For residents without children who work from home, like me, it is not ideal.